WINCHESTER, Va., July 31, 2017 – Trex Company, the world’s number one decking and railing brand, and leader in high-performance, low-maintenance outdoor living products, today announced that it has acquired substantially all of the assets of SC Company, the country’s leading manufacturer and supplier of custom architectural railings and staging solutions based in Brooklyn Park, MN. 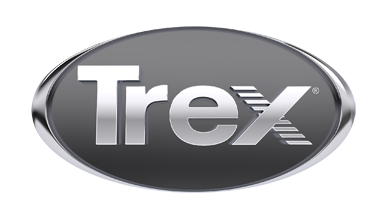 This strategic purchase expands Trex’s reach into the growing commercial arena and serves as the foundation for the launch of Trex Commercial Products, a subsidiary of Trex Company. Founded in 1990, SC Company is composed of two successful product categories – SC Railing and Staging Concepts. SC Railing offers premium, custom-designed engineered railing solutions, which are prevalent in stadium and arena facilities, as well as more standardized architectural and aluminum railing systems, which target commercial and high-rise applications. Staging Concepts is a leading supplier of staging equipment for the global performing arts, sports and event production markets. Through a consistent strategy of sales expansion, end market diversification, new product development and acquisition, the company has achieved impressive growth over the past five years. SC Company completed its first railing project in 2006 at Busch Stadium in St. Louis. Since then, the company has become the go-to resource for specifiers in the construction contract arena booking jobs at such high-profile venues as Madison Square Garden in New York City; SunTrust Park in Atlanta; NASA Marshall Space Flight Center in Huntsville, AL; the U.S. Coast Guard Headquarters in Washington, D.C.; Hilton Grand Vacation Club in Myrtle Beach, SC; City Vista (retail and apartments) in San Antonio, TX; Celgene Building “L” Office in Summit, NJ; Washington Square in Minneapolis; and HealthPartners Neuroscience Center in St. Paul, MN.